Creating a huge business is one thing. Building it on principles of conscious awareness? Another thing altogether. 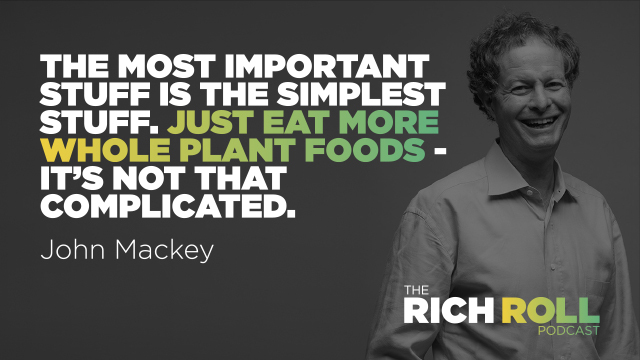 This week I sit down with John Mackey, the father of conscious capitalism and the unlikely entrepreneur behind a $16 billion grocery behemoth that ushered in a global organic food movement and permanently changed the way we eat, live and think about business. The Bill Gates of organic food, John is the original, current and sole CEO of Whole Foods Markets, which he founded in 1980 and has parented to Fortune 500 status, employing over 90,000 people across 450+ stores in the United States, Canada and the UK. A strong believer in free market principles, Mackey is the co-founder of the Conscious Capitalism Movement and co-authored the New York Times and Wall Street Journal best-seller Conscious Capitalism, which encourages business grounded in principles of ethical consciousness. Consistent with this ethos, John has birthed a myriad of philanthropic efforts, including the Whole Planet Foundation to help end poverty in developing nations, the Local Producer Loan Program to help local food producers expand their businesses, The Global Animal Partnership’s rating scale for humane farm animal treatment, and the Health Starts Here initiative to promote health and wellness. Mackey has been recognized as Ernst & Young’s Entrepreneur of the Year Overall Winner for the United States, Institutional Investor’s Best CEO in America, Barron’s World’s Best CEO, MarketWatch’s CEO of the Year, FORTUNE’s Businessperson of the Year, and Esquire’s Most Inspiring CEO. Aligning his actions with his values, John embraces an extremely grounded lifestyle in stark contrast to his means. This is a guy who in 2006 cut his annual pay to $1, donates all his stock options to charity, walks to work, cooks his own meals and meditates daily. A vegan for many years, John recently released The Whole Foods Diet. Co-authored by Alona Pulde and Matthew Lederman of Forks Over Knives, it’s a powerful primer that unequivocally establishes a whole foods, plant-based diet as the optimum protocol for health, disease prevention and longevity based on the huge body of science, research, and advice that is available today. 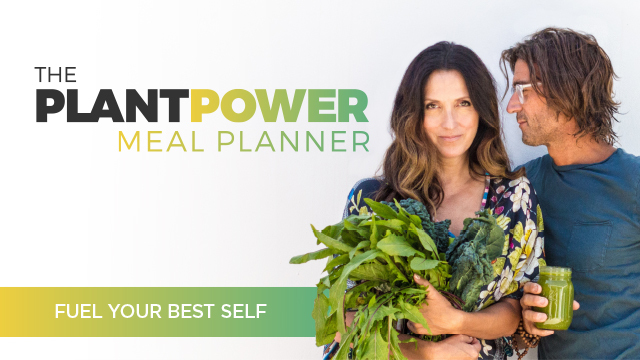 But most of all, this is a powerful dialog about the incredible power of a plant-based lifestyle to prevent and reverse disease, enhance optimum health and increase longevity — things we all aspire to achieve. I had been wanting to connect with John for years, and our meeting in Austin at Whole Foods HQ didn’t disappoint. I love this exchange — a passionate and contemplateive discussion packed with great takeaways certain to leave you rethinking your daily plate and daily priorities. I sincerely hope you enjoy it! Squarespace.com: The easiest way to create a beautiful website, blog, or online store for you and your ideas. Save 10% at checkout when you use the coupon code “RICHROLL” at checkout. Visit squarespace.com. Squarespace. Build it Beautiful. Please consider joining our Thunderclap — a totally free, simple to use crowdsourcing platform requiring only that you “pledge” a social media post in support of Julie’s new book This Cheese is Nuts! that will automatically post to your timeline on June 13, the date the book is released. Our goal is to achieve a social reach of 2 million, so show your support for the movement and let all our voices be heard all at once! To join, just click on the “Join this Thunderclap” button below and follow the simple instructions. It only takes a minute tops (did I say it’s free?). Thanks so much for the support.